There are three ingredients for a successful search engine optimization (SEO) campaign (1) keyword selection (2) visibility and (3) conversion. Each are equally important, but always start by researching relevant keywords first. The first falls into the category of keyword research, for example if you have a local business that sells flowers, then keywords like “(city name) flower delivery service”, “(city name) flowers and gifts” or keywords like Flowers for Weddings, Anniversary’s or Funerals in (city name) would yield favorable results for your business vs. a more competitive term like gift baskets. Although search engine optimization has evolved beyond which keywords you rank for, keyword placement and positioning is a crucial component of SEO. Also, implementing the best SEO technique to complement the site type is critical for making a strong impression in search engines. 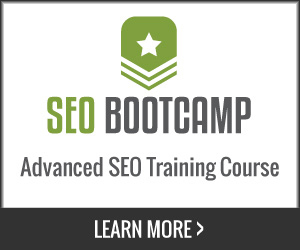 Regardless if you are utilizing PPC or Organic SEO you pay for keyword positioning. With PPC, the positioning is instantaneous (you pay to play), however with organic SEO the results are sustainable for long periods and have a 4 to 1 click through rate higher than paying per click. Most employ a hybrid of the two distinct strategies (organic search and PPC) as well as broad match and competitive exact match keywords. Through conversion tracking, you gain insight to the reputation your site and pages have, which allow you to make modifications in content and links to change the focus of your websites profile. Managing keywords for PPC (pay per click) or organic / natural search engine optimization have one thing in common. They are both just one component of the sales cycle and equation responsible for getting traffic to your website, once that traffic gets there, it all depends on your offer and how many emotional triggers and calls to action are employed to get the visitor to take action and purchase or engage your content. What if your keywords are too broad? The keyword you target and rank for determine which audience your pages appeal to. If your keywords are too broad, chances are the people clicking them weren’t really looking for the content on your pages to begin with. Unless you want to rank for keywords that someone would use when writing a paper on the subject vs. a prospect that has already made their mind up and is looking for the best deal, then think about a prospect in pursuit when choosing your selection. Through identifying with the mindset of the consumer or prospect and the phrases or keywords they would use to describe their emotional impulse, you can zero in on keywords with the highest conversion for your content. Optimizing the “Most Searched Keywords” to Target your Niche! Google’s Love Affair with Authority and How You Can Leverage It! What Is Google’s Greatest Fear? It’s amazing how much business local companies could get if they just take the time to read a few keyword related articles such as this one. I’ve seen powerful pages with great inbound links getting no traffic just because of havent researched keywords. Ironically, we were just kicking that idea around the office right before you commented. Keyword selection is the Rosetta stone of SEO, when you discover the root of a trend or low hanging fruit, traffic is wide-open. Very informative and well explained. I was able to gather new data and ideas to use. Got new techniques as well. i appreciate your viewpoint.that is great!! !